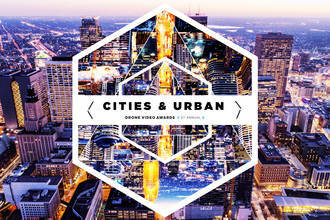 Congratulations to our 2nd Annual Drone Video Awards Cities & Urban Nominees! This year's nominees are Bachir_Photo_Phactory, Timelab.pro, oliverastrologo, Drone Media Chicago, and haussmannvisuals. Description: 2nd ANNUAL DRONE VIDEO AWARDS’ CITIES & URBAN CATEGORY NOMINEES - City of Life - Dubai - Bachir_Photo_Phactory St. Petersburg - The city of white nights - Timelab.pro Venezia - oliverastrologo Art of Endurance - Chicago - Drone Media Chicago Hong Kong - Reach the Sky - haussmannvisuals Want to vote for your favorite video? Check your email! All content creators who have uploaded a drone video or photo to AirVūz received an email from us with a personal voting portal. Follow the link, add your ‘unique access password,’ and get voting! Content creators will have the opportunity to place their votes for the best drone videos in the world between Monday, January 14th, 2019 and Sunday, January 28th, 2019 (voting closes at 11:59pm CST). Only one entry per registered content creator will be accepted in the voting for the best drone videos in the world. The winners of each category of the 2nd Annual AirVūz Drone Video Awards will be announced on AirVūz Live on Facebook on Monday, February 18th, 2019 at facebook.com/airvuz. Click the following link for more information about the contest - www.airvuz.com/2nd-annual-drone-video-awards TO VIEW THE FULL VIDEOS OF OUR CITIES & URBAN NOMINEES, CLICK HERE. CONGRATULATIONS TO ALL OF OUR 2ND ANNUAL DRONE VIDEO AWARDS’ NOMINEES!